Digicel Group is a leading global communications provider with operations in 32 markets in the Caribbean, Central America and Asia Pacific. After 13 years of operation, total investment to date stands at over US$5 billion worldwide. The company is renowned for delivering best value, best service and best network. Digicel is the lead sponsor of Caribbean, Central American and Pacific sports teams, including the Special Olympics teams throughout these regions. Digicel sponsors the West Indies cricket team and is also the title sponsor of the Caribbean Premier League. In the Pacific, Digicel is the proud sponsor of several national rugby teams and the Vanuatu cricket team. Digicel also run a host of community-based initiatives across its markets and has Digicel Foundations active in Haiti, Jamaica, Papua New Guinea and Trinidad and Tobago. These foundations focus on educational, cultural and social development programmes. In 2016, Digicel kicked off their “Digicel 2030” strategy to build for the future. Part of this transformation project was to re-design the organisation which led to them consolidating five Network Operations Centres (NOCs) into one Global NOC (GNOC). This led to the consolidation of all monitoring and ticketing tools into a single instance of each. Digicel and Eirteic, successfully completed the Global Network Operations Centre (GNOC) Transformation project, as part of Digicel’s continued investment to deliver an amazing network experience. Eirteic provided Digicel with a centralised visualisation and service & performance management consolidation solution, leading to the ultimate goal of improving operational efficiency through customer-centric service assurance. Digicel’s aim is to expand into new markets and provide new services while seeking to reduce operational costs. The reduction of operating costs was a priority for Digicel and it sought to achieve this through the reduction of headcount by 1,500 staff and the consolidation of office and NOCs. Digicel had a network management environment that was distributed across five multiple NOCs (Jamaica, Trinidad, Panama, El-Salvador, and Haiti) to manage 23 countries in 4 different time zones. The management environment consisted of multiple network monitoring tools and was integrated with 5 different BMC Remedy systems ranging from v7 to v8. BMC Remedy consolidation was a critical part of the OSS transformation project to dramatically reduce their operating expenses and increase their efficiency, as having multiple NOCs with the existing suite of products were not meeting their goals of cost efficiency, business agility, and customer experience management. Reduce OPEX by decreasing the number of tools, offices, servers, headcount etc. National & International Backbone Networks. Eirteic implemented the Assure1 unified service assurance solution from Federos and consolidated all 5 bespoke Remedy systems within the respective NOCs into a single Remedy System with Galileo Vision providing Customer Impact Visualisation. Combine network data and external data and to provide a holistic view of the network status. 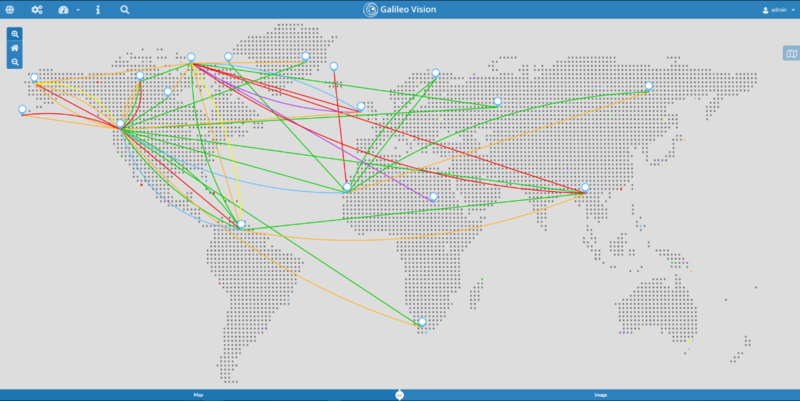 Galileo Vision allows operators to visually correlate network and service issues, combined with external sources of geographical data, for example, weather and utility, providing GNOC operators with a clear image of what is happening on the network. Visualise Real-time actionable insights in an intuitive format to accelerate root-cause identification of network service issues in addition to the display of Geographic and Logical (image) based dashboards. These dashboards display links between entities and are coloured based on events within the fault management system. This service-centric approach to network management enables real-time understanding of how network performance and events impact on their end users. Their new customer-centric, service assurance processes also enable them to spot developing customer demand and deliver new services before their competitors. In order to provide Digicel with an optimised performance management solution, metric data was collected from the network and condensed into KPIs (Key Performance Indicators). Eirteic created categories for these metrics using the ARIAM approach (Accessibility, Retainability, Integrity, Availability and Mobility). Assure1 for mobile service assurance utilises best practices to create and maintain mobile KPI formulas. The key to great service views is the availability of data, from all network resources, being presented through easy to use reports and dashboards. Assure1 dashboards gave Digicel a unified high-level view of their mobile network, whilst still enabling a user to drill drown to specific faults or metrics. Galileo Vision was deployed to enable the visual correlation of infrastructure and service issues (fault, performance, usage and service status) based on location and environmental factors such as adverse weather and electrical outages. At Digicel, Galileo Vision was configured to visualise the status and coverage indicating current fault, performance and usage status. Fault consolidation through the Assure1 unified service assurance solution from Federos to replace IBM Netcool with a single platform for Fault Management. Remedy Consolidation of all bespoke BMC Remedy systems (v7, v7.6 and v8) within the 5 NOCs into a single, latest version (ITSM 9.1.03), BMC Remedy System. Full integration of the Federos Assure1 system with BMC Remedy ITSM v9.1. Consolidate Fault Management of the remaining three NOCs, in multi-country locations with a multi-tenant solution also catering for 27 countries, multiple business units, contractors and vendors. On-premise infrastructure included load-shared servers and a geo-redundant disaster recovery environment for improved performance and redundancy. Migrating from separate bespoke undocumented processes to standardised best practice ITIL based processes. Implement/ Integrate Galileo Vision to provide Customer Impact Visualisation. Implement Performance Management for Mobile Networks. 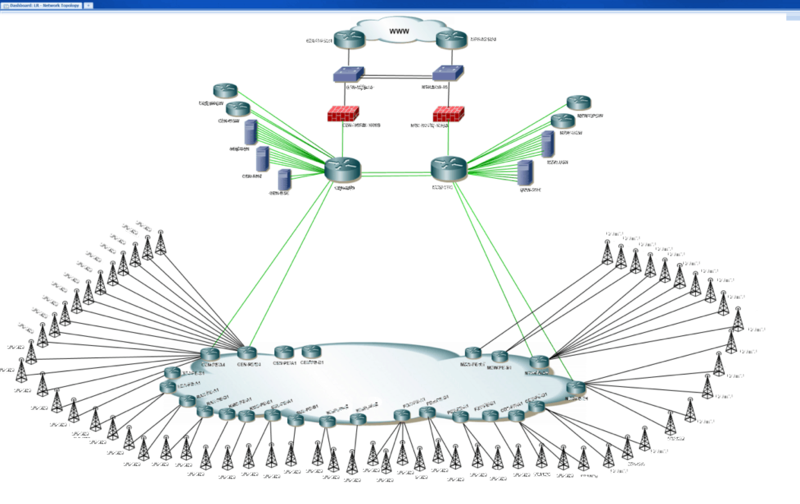 Implement Service Management for Radio Access Network (RAN). 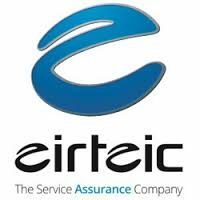 Eirteic, the Service Assurance Company, successfully consolidated five bespoke BMC Remedy platforms into a single BMC Remedy ITSM 9.1.03 instance as part of a wider Global NOC (GNOC) OSS transformation project. This project was a multi-country, multi-platform, network transformation which will ultimately improve Customer Service, operating efficiencies and increase shareholder value. 2G, 3G, 4G/LTE Networks (Ericsson now, but moving to ZTE). Raise trouble tickets, from a single UI, instead of disparate systems. View consolidated event lists, filters, policies, device metrics and reports. Determine customer impacting events to proactively ensure their customer requirements are being exceeded. Digicel also has the ability to provide external business customers with dashboards detailing where faults lie and log incidents with the BMC Remedy System. This service-centric approach to network management enables a real-time understanding of how network performance and events impact the end user. The end to end OSS solution provided by Eirteic is a game changer for Digicel and has enabled their critical digital transformation goals. Deliver new services faster than their competitors. A move from a NOC model to a Service Operations Centre and ultimately, a Customer-Centric Service Assurance Centre. Digicel, who had a long track record of providing customers with the best network was excited to have taken things to the next level with Eirteic enabling their GNOC OSS transformation, shareholders and customers have quickly seen the benefits of the changes. The completion of the GNOC project has enabled Digicel to lower their network management costs and introduced a new level of business agility. The Eirteic enabled solution enabled Digicel to redesign their organisation so that they could on their goals of delivering an amazing network experience.